This OMEGA dates to 1946 and has the early and robust OMEGA bumper automatic winding movement which has just been cleaned and is accurate. The dial was restored whilst retaining the original gold toned arrow markers and feuille style hands. The 32mm. 14k. 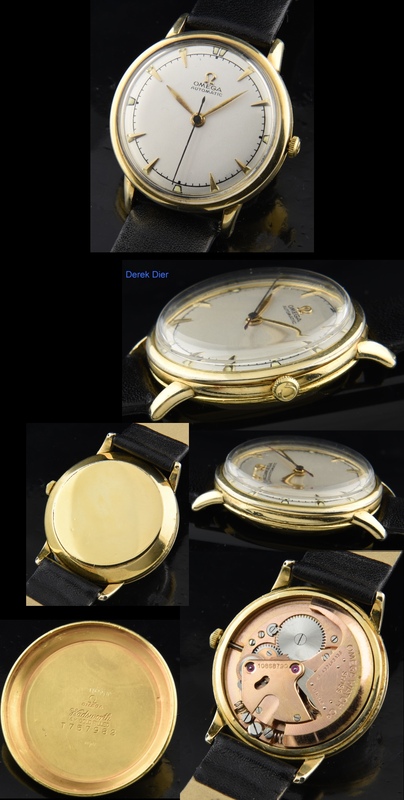 gold filled OMEGA case with curved lugs looks very good for its age. 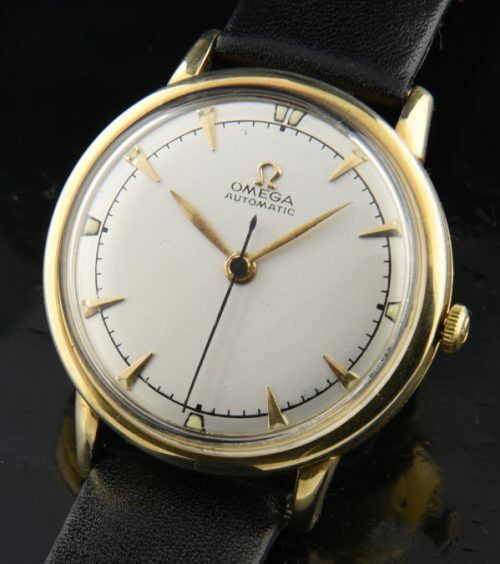 This is a reliable and fine OMEGA you can wear daily-with an amazing price to boot!